Poet’s Word was a brilliant winner of a fantastic King George VI & Queen Elizabeth Stakes at Ascot on Saturday and the 5-year-old is 6/1 (from 8s) at BetVictor to win the Arc at Longchamp in October and 3/1 jt fav for the Juddmonte International at York next month. The gelding had a hard race at the weekend and didn’t look to be crying out for a drop back in trip despite his win in the Prince Of Wales’s Stakes back in June. Roaring Lion is the other 3/1 joint favourite with BetVictor and I am a big fan of the Eclipse winner who I feel is the one to beat on the Knavesmire. The opening fillies’ Novice Stakes at Lingfield this afternoon is potentially a very good contest with both No Way Jose and Shorter Skirt (1.20) looking, arguably, unlucky not to have last time and preference for the latter is marginal. No Way Jose was constantly denied a run when fourth in what is historically a good maiden on the July course last time, but I just wonder if she will find things happening too quickly over this sharp 6f. I just prefer the Eve Johnson Houghton trained filly who went down by a nose at Kempton on debut finishing fast and late and is taken to go one better. 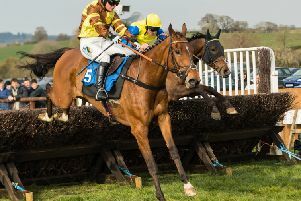 The Marcus Tregoning stable have gone off the boil in recent days with his last four runners, at the time of writing, beating a total of four horses home. I was hopeful of a big run from both Landue and Honourbound this afternoon but feel discretion is the better part of valour in the circumstances. Twister (3.50) finished runner up over C&D last week under Ryan Tate and Luke Morris takes over for Sir Mark Prescott. The selection is well drawn in stall five and can race off the same mark this afternoon. I hope Robert Havlin makes plenty of use aboard Ben Vrackie (4.20) who was staying on strongly over this trip at Newcastle last week when second in what looed a decent maiden. The colt looked a real stayer on that occasion and got caught out of his ground before staying on well down the long straight. This tight track might not play to the colt’s strengths, but the hope is that Havlin ensures a true test of stamina. At Ayr I hope to see Carnageo (4.00) bounce back to his best on ground described, at the time of writing, as good (good to soft places) with further rain expected on Monday. The 5-y-old has not been at his best this season but the handicapper has given him a chance, he is well drawn and will appreciate underfoot conditions more than the fast ground he has encountered of late. Richard Fahey saddles Carnageo and I also hope to see a big run from the yard’s Militia (4.30) who returns from a near two-month break. The selection remains a maiden and has been a beaten favourite on four of his six starts, but he is obviously thought better than what he has shown to date. The yard won this corresponding race 12 months ago. I must admit that History Writer (7.50) is not as good as I hoped he might, but I think the step up to 10f can see him in a better light at Windsor this evening. I am still kicking myself for not keeping faith with our John Smith’s Cup selection Thundering Blue at York on Saturday although I did think for much of the race Elarqam had the race in safekeeping. At Newton Abbot I’m going to give Golden Vision (3.10) a last chance in the 2m Handicap Chase. The mare had a wind operation prior to finishing third at Worcester last time when she jumped well and only gave best after the last. Recent winners Field Exhibition and Rebel Yeats may need further although they are both strong challengers – I hope Harry Skelton can keep a bit up his sleeve on his mount for the last couple of fences in the home straight. Great to have Ruby Walsh back for the opening day of the Galway Festival and I am looking forward to the return of Limini (7.40) who has been off the track since finishing third in the Mares’ Hurdle at Cheltenham back in March 2017. Willie Mullins has saddled a couple of high-profile flat winner over staying trips in Britain of late and the selection looks well treated off a mark of 89 on the best of her hurdles form. The combination of two miles and soft ground should be ideal although she is likely to need luck in running in such a competitive handicap given she is likely to be ridden from off the pace by Patrick Mullins.